This collection was deposited at the University of Huddersfield in 2005 and forms part of the Non-conformist collections. Wesleyan and Methodist heritage is an integral part of the history of countries worldwide The Society has regional Societies one of which is Yorkshire which started in 1962. In the twentieth century most of the different Methodist denominations united together. The New Connexion, Bible Christians and United Methodist Free Churches (another breakaway following a major controversy in the Wesleyan church from 1849) came together in 1907, forming the United Methodist Church. 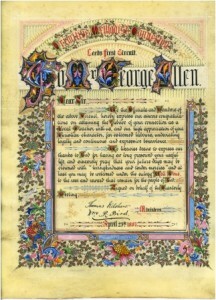 That in turn joined with the Wesleyans and Primitive Methodists in 1932. 1. The study of the history and literature of early Methodism. 2. 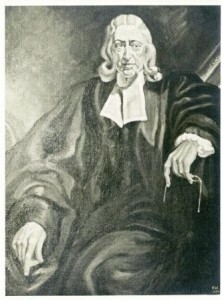 Research into the Wesley family. 3. Investigation into the beginnings and development of Methodism. 1. The history of all sections of The British Methodist Church that United in 1932. 2. Other Wesleyan and Methodist denominations. This is a wide ranging, nationally important resource comprising over 13,000 books and archive items collected by the Yorkshire branch of the Wesley Historical Society. 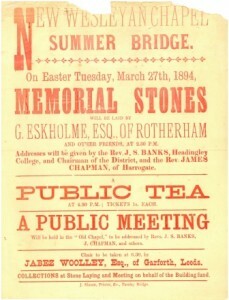 Items include Methodist Magazines, Conference Reports, Class Tickets, Biographies of prominent and interesting members of the Methodist Church and various documents relating to chapel events. Histories of many of the chapels are included although no registers are held in this resource. 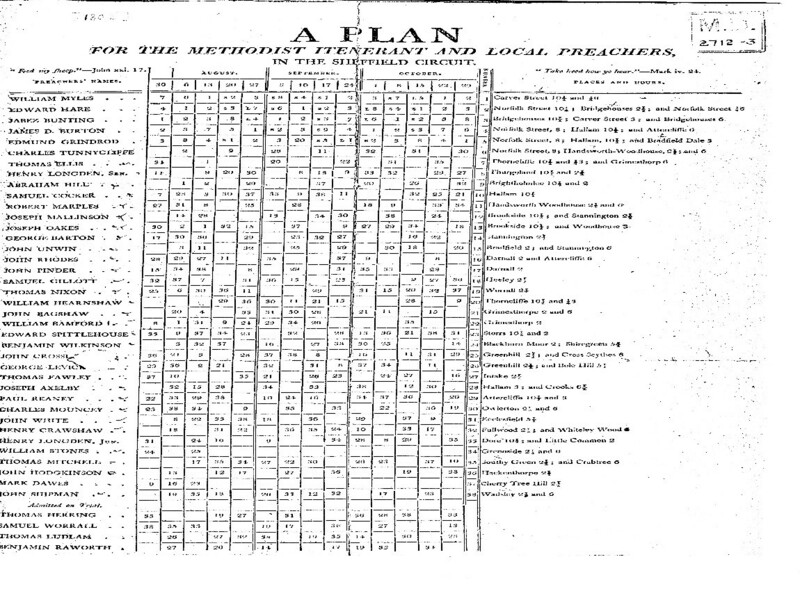 The Collection also has circuit plans, books, postcards and photographs showing individual Ministers, churches and various outings or events held by the Methodists, directories, histories of Chapels, class tickets, conference reports, bills showing forthcoming events, Methodist publications such as Methodist Recorder. When the collection was deposited it was not electronically listed but details were held in a card index system. 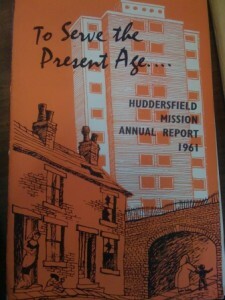 This is still available as a cross-reference tool in the Heritage Quay search room. The Collection catalogue is now available via our website at www.heritagequay.org. The collection is still growing as deposits are made each year by the Society. 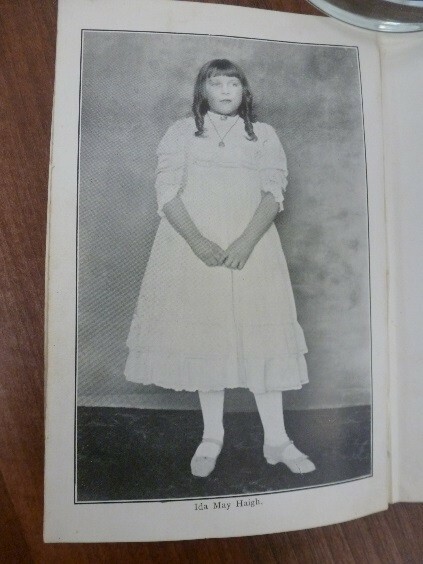 WHS/5939, The Life of Ida May Haigh: The Child Vocalist of Golcar. This book is quite attractive and tells the story of her life, although ends sadly as Ida May died very young. 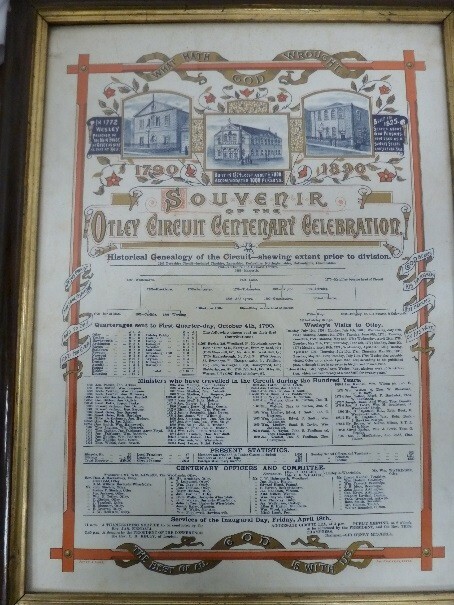 WHS/11881 Illuminated document showing the historical genealogy of the Otley circuit. These plans detail ministers and lay preachers who were grouped into circuits. By 1770 this lead to the development of a matrix for the quarterly scheme of appointments which in turn formed into a directory showing preacher’s names, addresses details of chapels and other information. The Cirplanologists study these and they publish their research which is useful for family research.